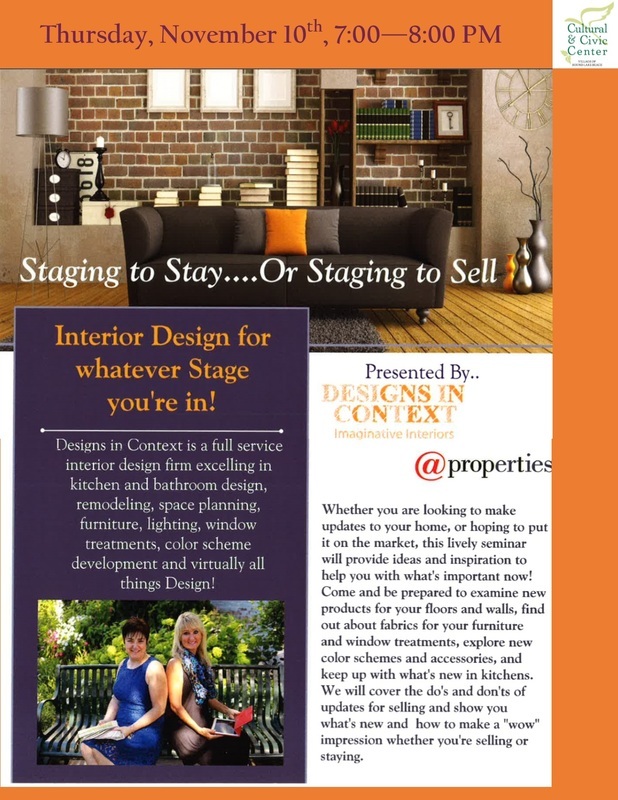 Whether you are looking to make updates to your home, or hoping to put it on the market, this lively seminar will provide ideas and inspiration to help you with what’s important now! See samples of products for Kitchen and Bath, Flooring, Tile, Window Treatments and More! We’ll discuss new color schemes and accessorizing, and show you how to make a WOW impression whether you’re selling or staying!